Born from a fortune amassed in a tough business, Reno’s recently restored Nixon Mansion reminds visitors of the grandeur available to a boom’s beneficiaries. Built in 1907 for Nevada Senator George S. Nixon, the 17,964 square foot mansion stands above the Truckee River and offers expansive views toward the northeast and the Biggest Little City’s downtown. It’s been recently restored at an eight-figure cost to current owners Harry and Carla Hart, who along with a build-design team took more than a decade of pains to maintain the original estate’s look while updating it for modern times. On the market for $16.4 million (marked down from more than $20 million in January and listed with Chase International Real Estate), the mansion beckons a new owner to join its rich past. Nixon capitalized on one of the Silver State’s bedrock industries—mining—as a Humboldt County banker from the late nineteenth century to the turn of the twentieth century, according to the Humboldt Museum in Winnemucca, Nevada. He reaped millions by providing early financial backing to famed Nevada mine owner George Wingfield, and the two were made wildly rich by the ownership of various mines in and around the Goldfield and Tonopah areas in southern Nevada. By the age of 46 in 1906—one year after winning a seat in the U.S. Senate as a Republican—Nixon and Wingfield took their company public. That same year, Nixon purchased the two acres of land on California Avenue—an imposing perch over the Truckee River once owned by Francis G. Newlands, a fellow Senator, noted white supremacist and architect of the annexation of Hawaii—and commissioned the construction of the Italian-style villa that would one day bear his name. Finished in 1907, the home boasted 33 rooms, including 11 bedrooms and rich mahogany and marble finishes throughout. Nixon employed a large support staff—butlers, cooks, maids—who shared the home’s uppermost third floor. One spindly staircase led to the floor, where eight cell bedrooms housed the servant staff; they shared a single bathroom featuring one claw-footed tub in the middle of the space, says Gail Richie, the Reno architect hired to overhaul parts of the historic home by the Harts. 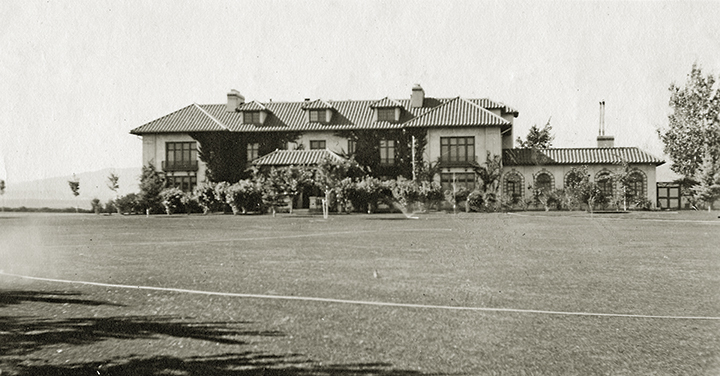 The esteemed residence continued to host all manner of Nevada’s leading lights after Nixon died in 1912 from spinal meningitis while working in Washington, D.C. Dr. William Johnston—who married Newlands’ daughter—was known to host fetes to celebrate music and the arts at the home between the 1920s and 1940s. Owing to Nevada’s reputation for quickie divorces, notices appeared in the Nevada Journal’s society pages from the era informing readers that the home would host a man or woman for ‘the next six weeks.’ Reportedly, the home was at one time considered for the offices of the University of Nevada’s Board of Regents. 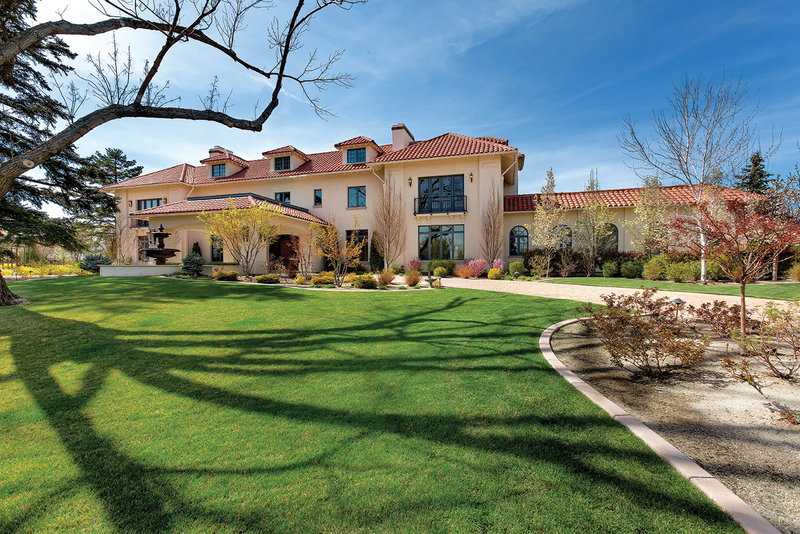 In the 1970s, Reno plastic surgeon and real estate magnate Dr. John Iliescu purchased the home and managed to have it rezoned for both residential and office use. A fire in 1979 rendered the home uninhabitable due to massive smoke damage throughout. There it sat for the next 23 years—degrading to eyesore status, becoming a destination for teenagers’ illicit parties and a home to transients. The Harts purchased the home for $2 million in 2002 and slowly began the long, arduous process of restoring the estate to its former splendor. Bringing the Nixon Mansion back to life was a monumental task, so the Harts enlisted Richie and Reno builder Robert Gurnea (who once considered buying the home but passed after calculating the costs of renovation) to turn the estate around. That included seismic bracing and “hundreds of thousands” of dollars worth of engineering costs, Gurnea adds. Before work started, the builder and his staff “photographed every square inch of the home” to get a clear picture of the types of finishes and materials used in the home. Hours of research at the University of Nevada, Reno’s library and sifting through historic photos helped piece together some of the builder’s questions on how to reconstruct the landmark. The Harts wanted to stay true to the historic nature of the house but deviated from the original design so as to modernize and improve where needed. For example, the home’s grand porte-cochère was expanded and outfitted with a glass roof so as to bathe a visitor’s entry into the mansion in light. Richie worked to update and expand the kitchen on the main floor, which was originally designed mainly for early twentieth century servants’ use and therefore was too small for a modern luxury property. It also included a coal chute and oil-fired range—necessities at one point but out-of-place in today’s kitchen. Richie also set about redesigning the third-floor servants’ quarters. The staircase was widened and another was added to comply with modern fire codes. While items like light fixtures and sconces were salvaged from the original home, the bedrooms were combined from eight to five—each with its own bathroom. In the redesigned home even the guest laundry room provides a place to wash in elegance—a window seat overlooks the garden. The work finished in 2013, and shortly thereafter the Harts listed the home for sale. The main floor entry from the porte-cochère stands as a testament to the restoration’s vision and the craftsmanship it took to pull it off. Visitors are greeted by intricate beveled glass panels in the doorway before stepping onto Carrera marble tile and looking immediately into one of nine marble fireplaces, complete with an original firebox and grate. Solid oak floors lead to the grand ballroom where mahogany accents—which appear throughout the home—lend gravity especially to this 803 square foot space. The 11-foot curved ‘City View Bar’ stands out for its leather finish work, eponymous view and French doors opening to the gardens and terrace overlooking the river. 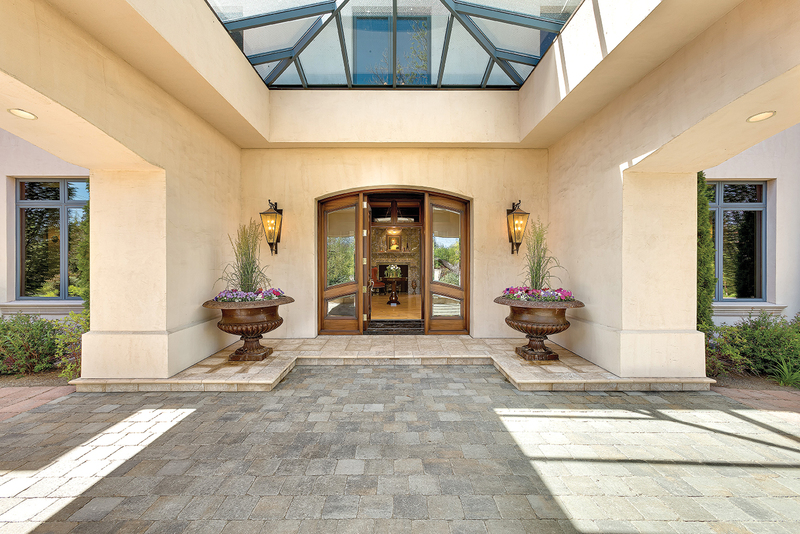 The covered terrace and adjacent morning room on the river side of the home steal the show on the main floor, however. The view is outstanding on the 58-by-18.5 foot outdoor living area, which is covered by a box-beam ceiling. The morning room’s floor-to-ceiling windows invite the sunshine into the room, which includes an in-floor water feature. A second-floor open-air terrace with custom iron railings again showcases the downtown and river views. The master wing features two walk-in closets, two full baths, a study and original, restored fireplace. A small Juliet balcony overlooks the home’s gardens, and the master baths feature marble tile flooring, a jetted tub and steam shower. Mahogany cabinetry in both bathrooms plays against the neutral tones on the floors and walls. Richie and Gurnea credit the Harts for exercising such care and commitment to getting the home right during the remodel. “Harry likes everything top-notch, he didn’t cut corners anywhere,” Gurnea says. The next owner—either a private person or a business as the building has retained the zoning Iliescu requested, says Donna Spear, one of three Chase Agents handling the listing (along with Trinkie Watson and Sandi Solomonson)—will be taking possession of both a piece of history and an exciting entry into Reno’s modern luxury market. From boom to bust and back again, the Nixon Mansion’s story awaits a new chapter. For more details on the mansion and a virtual tour, click here.